Samantha McCarty is a co-owner of The Doylestown Inn and The Hattery Stove & Still restaurant. Born in Zambia in South-Central Africa, she moved to Doylestown at the age of eight and grew up in the borough, graduating from Central Bucks West High School in 1993. She worked in the accounting field before marrying her high school sweetheart, Todd McCarty in 2000. Happily married for 16 years, the couple has three beautiful daughters, ages 3,8 and 12. In December 2012, the McCartys purchased the historic Doylestown Inn with a small group of investors. Samantha loves the hospitality industry and considers herself fortunate to be able to work with a fantastic team of dedicated hospitality professionals and an inspired chef and general manager. 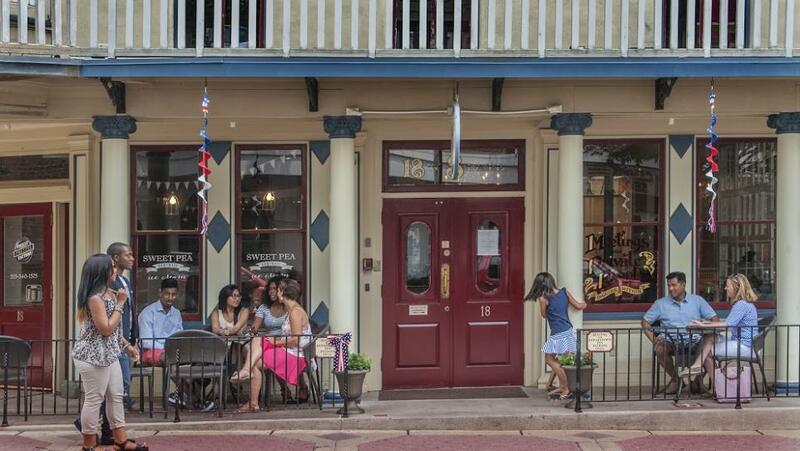 Many visitors to Doylestown fall in love with its history and charm! It’s a quaint piece of Americana nestled in the beautiful rolling hills of Upper Bucks County. When we decided to produce some social media videos for our boutique hotel, The Doylestown Inn, we decided to showcase the myriad of attractions the area has to offer and to capture a slice of life in our hometown, rather than just promote our businesses, which include the historic Inn and The Hattery Stove & Still restaurant.